Key difference: Although, spearmint and peppermints are mints, they both are completely different. The key differences between the two types of mint are based on their taste, aroma and properties. Gum ball or Candy Canes? It sure is a hard choice to choose from! Both these toffees are completely different, yet their recipe calls for the same ingredient “Mint”. Mint is a delightful herb that is widely used for its cooling, cooking and medicinal properties. It is one herb which just adds a ‘cool and calm’ effect in a spicy meal over dinner. Both, peppermint and spearmint came to the New World with the English colonist, who used these mints, in their tea, for their medicinal properties and also because mint tea was tax-free. 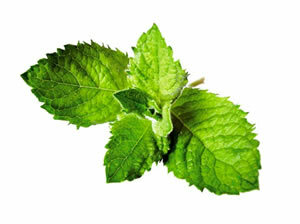 Spearmint is a naturally occurring aromatic herb that is found in cuisines since the Roman times. It is popular for its green tea infusions that are know to relieve a wide range of aliments such as nausea, hiccups, flatulence, etc. It is chiefly used for culinary purposes. Spearmint is a very popular world wide flavor of chewing gum, across all brands. It is also used as a flavoring in all sorts of toothpaste, candy, and shaving creams. Because of its pleasant, sweet and mild taste, the oil of this plant is widely used in many other medicinal compounds. The sweet flavor makes an excellent beverage for cold, cough and fever. Also, the mild brings in a relaxative property of good sleep and claming nerves in the body. On the other hand, Peppermint is a hybrid mint; it is a cross between spearmint and watermint. Because of the two mints, it has high menthol content, and is widely used in both medicinal and commercial purposes. Peppermint has a long and distinguished history in health aid, as it contains high amount of nutrients and vitamins. It is also used in curing sore throats and runny noses. The oil of the plant is considered to be an excellent rub for tired or strained muscles. As part of aromatherapy, the scent is understood to help relieve stress and restore emotional balance. The appealing taste of peppermint helps to make food items like ice cream, tea, chewing gum, and dinner mints more desirable. Chocolate covered mints often include peppermint oil, as does the traditional red and white hard candies that many people love keeping in their homes. The oil also adds a welcome hint of taste to several types of liqueur. It is also used in shampoos, soaps, and body washes, since the peppermint leaves a pleasant scent and a cool sensation to the skin. Many varieties of toothpaste also rely on it to help leave a pleasant taste in the mouth. It is a naturally occurring species of mint. It is a cross between spearmint and watermint species. It is an upright –straight plant. It is a low creeping plant. It grows up-to 3 feet and spreads indefinitely around the entire vegetation. It grows up-to 1-3 feet, but does not spread widely in the vegetation, just 3 feet in width. The leaves are slightly smaller. They grow directly on the branch. It has smaller wrinkled leaves. The leaves are larger as compared to spearmint. They grow on the stems of the plant. It is more jagged leaves. It does not contain menthol. Its cooling property comes from carvone. Its cooling property comes from menthol. It has a pink or blue bloom. It has a purple bloom. It has a mild and sweet flavor, which is really delicate in smell. It gives a sweet taste. It has a sharp flavor and extremely intense smell. It is used in mosquito repellent. It is does not help in producing scented flavoring oil. It is used in tea. It is used to produce scented oil. It has medicinal and therapeutic properties. It is used in candies. You should really have pics differentiating the two. 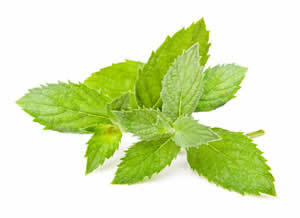 Spearmint does contain menthol, although only 0.5%, wheareas peppermint has 40%. Thanks for the excellent information on the differences betwwen the two. I'm enjoying a cup of spearmint tea right now and it's so good. The variety packs of flavored tea I've found in stores contain peppermint tea and I don't like it, too much "burn" from the menthol. I had to order the spearmint off of Amazon, can't find it locally. I think I'll buy some live plants and put them in the back yard. I was given permission to dig up a few plants from a neighbor's yard when I was a kid and they thrived where I planted them in our backyard for decades till the mowing company my folks had to hire when they got too old to mow took them all out. Methanol is wood alcohol, and highly toxis. You mean menthol. Yes, Thank You. It has been fixed now.